Automobile crashes and car accidents occur daily in almost every major Florida city and metropolitan area. Orlando and the Central Florida area are no exception. With almost seventeen million licensed drivers in the Sunshine State, The Florida DMV (Department of Motor Vehicles) estimates that well over a quarter of a million car accidents will occur in Florida during the 2018 calendar year. If this sounds like a lot of car crashes, it is. 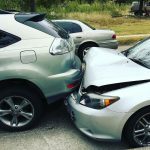 A look at the auto accident trends that took place over a five year period from 2005 – 2010 revealed that some improvements were taking place in Florida as a result of the Sunshine State’s efforts to increase driving safety. However, this improving trend drastically changed beginning in 2015. So many people are asking this question- what happened in 2015 and 2016 that has reversed the positive trend we were seeing from 2010-2015 in Florida? However, much to everyone’s disappointment, the 2015 and 2016 statistics showed that the ten year decline in traffic fatalities was most definitely over. A decade ago in 2006, a record 42,708 automobile fatalities occurred nationally. So a reduction of just over eight percent (8.1%) has been achieved. What is of a major concern to many, however, is the dramatic reversal seen over the past two years. Comparing the totals to the 2014 numbers, an increase of over seven percent (7.2%) was seen in 2015 and an astounding increase of over fourteen percent (14.6%) was seen in 2016. The 2015 increase was the largest seen in almost fifty years, when there was an increase nationally of over eight percent (8.1%) from 1965 to 1966. In fact, passenger fatalities are now at their highest level since those seen back in 2009. Motorcyclist fatalities are now at their highest level since those seen in 2012, pedestrian fatalities are at their highest number since 1996, and bike riders at their highest level since 1995. Looking at the average number of automobile accidents that were reported in Florida by the DMV over a five year period reveals that in a typical year there are approximately 253,600 car crashes annually in the entire state. This equates to an astounding 695 car accidents being reported every day. As was seen nationally, Florida went from a record high in 2005 of almost 269,000 to a low in 2009 of approximately 236,000. These numbers reveal a disturbing trend, especially when compared to 2012 (2,431 fatalities) and 2013 (2,403 fatalities) when the lowest numbers in a decade were seen. Comparing 2016 to 2013 reveals an unbelievable increase in traffic deaths of over thirty-two percent (32.1%) in Florida. Although this number has also risen on a national level, Florida leads all states with a three year increase of over twenty-five percent (25,5%). To put it in perspective, the national average over the past three years has been between approximately 10 – 11.5%. Keep in mind that this is all not just limited to automobile accidents and crashes. Truck accidents and motorcycle accidents are also very common in Florida and rapidly increasing annually. How Long Will These Trends Last? 1. Florida’s population is increasing very rapidly increasing and so this trend will continue for many years to come. Since 1980, the population of Florida has more than doubled, expanding from approximately 10 million residents to an estimated 21.7 million in 2017. To put the state’s growth in proper perspective, Florida’s population is growing by approximately two percent annually (1.84%) with 1,000 new residents arriving daily. According to the US Census Bureau, Florida is now the third most populous state in the nation, trailing only California (39.2 million residents) and Texas (27.5 million residents). With the current growth in jobs and employment exceeding the national average, plus the continued trend of retirees migrating to Florida, experts all agree that the population growth trend will continue over the next decade (and perhaps even at increased rate). The reality is that almost two percent (1.85%) of all Florida residents will be involved in automobile accident in 2018. Also consider that, along with the rapidly expanding population and number of new cars and drivers on the roads throughout Florida as noted above, the ever increasing problem of texting while driving is resulting in more and more car crashes. Additionally, for those drivers in the Central Florida and Orlando Metropolitan area, the increase in the number of tourists and visitors who are unfamiliar with the roads and traffic patterns will certainly increase the odds of being in a traffic accident. This is especially true with the I-4 construction project currently underway and going directly through the Disney, Epcot, SeaWorld and Universal Studios areas. 1. Never leave the scene of the accident! 2. Report the car accident. Florida law mandates that any car accident involving damages of over $500 must be reported to the FHP (Florida Highway Patrol), the County Sheriff or to the local police department. The $500 in damage includes both personal injuries and any property damage that may have occurred. 3. Don’t block traffic. If your car is damaged and traffic is being blocked by it, the law mandates that you must move it. If you are unable to move it yourself, then you are required to get help or to immediately call a tow truck. 4. If you’re involved in an automobile accident that involves an unattended vehicle or a vehicle that is parked, Florida law requires you to inform the owner. Leave a note with your name, address, and license plate number, plus immediately report the accident to the FHP (Florida Highway Patrol), the County Sheriff or to the local police department. If you or someone that you care about is involved in a car crash that results in significant injuries or even death, please consider contacting The Law Office of Mark A. Risi, PA. Our experienced car accident attorneys have been serving clients throughout Central Florida for over twenty five years, with clients in Orlando, Winter Park, Kissimmee, Cocoa Beach, Melbourne, Daytona Beach, Leesburg and many other locations. Whether you’re a local resident, or in Central Florida on business, or simply visiting from out of state on vacation, our experienced Orlando car accident attorneys can help you receive the compensation you deserve. At the Law Office of Mark A. Risi we pride ourselves in providing quality and aggressive legal representation on behalf of our clients. We take pride in providing personal service to our clients in all personal injury cases in Orlando, Central Florida and throughout the state of Florida. For an absolutely free consultation with no risk or obligation, please feel free to call us at (407) 629-2484 or contact us online and we will answer any questions that you may have. We would be honored to work for you to obtain the best settlement possible.